UN reinstates Syrian refugees aid Jump to media player The UN World Food Programme says it will reinstate food aid this month to the very poorest Syrian refugees. 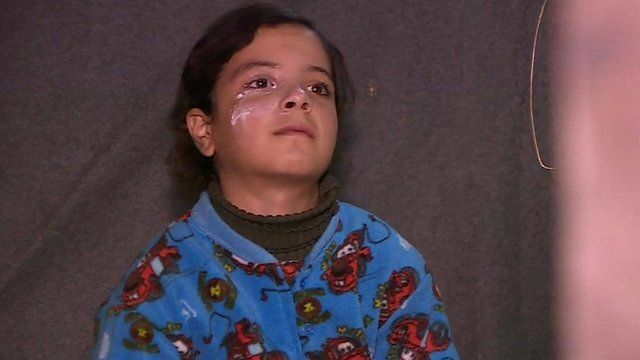 The UN World Food Programme says it will reinstate food aid this month to the very poorest Syrian refugees. An online campaign by the WFP has raised some $25m out of $64m needed to keep the programme running this month. Earlier this week, the UN warned that Syrian refugees were facing "disaster" because it had been forced to suspend the aid. Paul Wood reports from Lebanon.